The other images here are all details from this plate, but at much higher resolution. 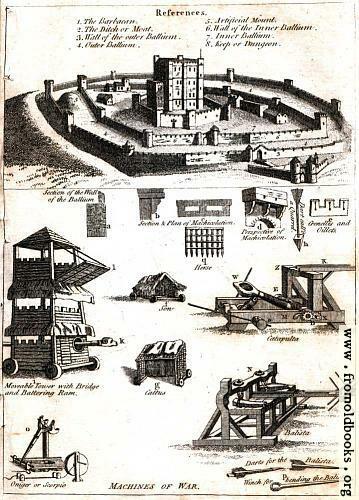 These are all described as weapons used in attacking (or defending) castles. There is also an annotated diagram of a castle, labeling the various parts.